Android (s goog), which has gobbled up more and more smartphone marketshare, recently surpassed iOS in the number of overall app downloads it generates. But developers have found that even with the runaway growth of the Android OS, it hasn’t always been easy finding similar success for their apps. One of the biggest issues is fragmentation: With so many combinations of devices and Android versions, it’s hard to ensure that an app can run on most devices without encountering bugs. Developers often end up updating their apps a number of times after launch to pick off problems that emerge on various devices. App ratings analytics firm Mobilewalla found that apps on Android saw an average of 0.8 updates per app compared to 0.3 updates per app on iOS (s aapl), some of which may be for quick improvements but some also due to bugs. It’s an ongoing problem that will continue to challenge developers as Android makes the leap to Ice Cream Sandwich, the next software update, which will introduce even more variations. But the problem isn’t insurmountable. Apkudo, a start-up spun out of NICTA, Australia’s Information and Communications Technology Research Centre of Excellence, is about to unveil a free testing service that allows Android developers to see how their apps will perform on almost 300 Android devices. The company will launch the product formally at the AnDevCon, Android Developer Conference Nov. 6 in San Francisco. Apkudo, which is spread out between Sydney, Baltimore, London and Chicago, created a lab that consists of an array of 289 Android smartphones and tablets representing almost every Android device sold to date. Developers upload their apps to Apkudo and the lab is able to run the APK on each of the devices, hitting every screen and every user interaction in a process that takes less than a minute. The lab uses external cameras to capture the interaction and combines it with software that detects bugs and problems. Results are sent back to developers in a report showing the failure rate, bug logs and what devices encountered problems. Developers can go over the report and slow down the video to see where their apps failed. 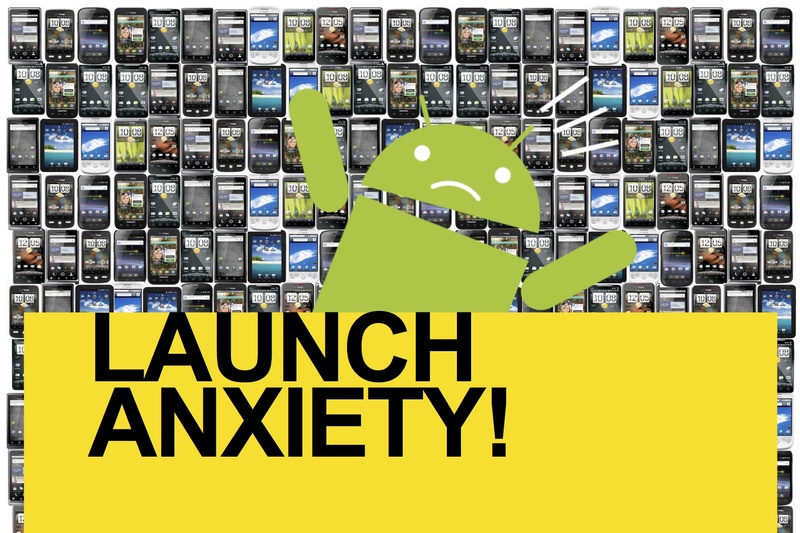 The idea for Apkudo is to reduce the launch anxiety developers face. Apkudo CEO Josh Matthews said developers usually only buy a handful of Android devices to test against but they can’t account for all the variations, from screen size, resolution and Android version to RAM, processor and other hardware factors. Developers end up patrolling the Android Market ratings and reviews to see what devices have problems with their apps. Apkudo spent about $100,000 on its collection of hardware to give developers some assurance that their app will face minimal problems. Matthews said Apkudo has already tested about 10,000 apps and found that 30 percent encounter at least one problem on its fleet of devices. This is a problem not just for developers but also manufacturers and carriers, who have to deal with customers unhappy that certain apps won’t run well on their devices, he said. Motorola Mobility CEO Sanjay Jha said this past summer that 70 percent of smartphones returned to the company come back because of software issues for things like battery life, sluggish operation and third-party applications. Apkudo will offer its base product free but plans to charge for premium services which will provide deeper testing for apps. Matthews said the initial product works more like an early warning to help developers understand what issues might arise. Future products will surface other problems like rendering issues and other experiential bugs. Developers will also be able to specify which devices they want to hit for testing. Matthews said the lab is built to handle a lot of demand and can cycle through 8,000 apps in one day. 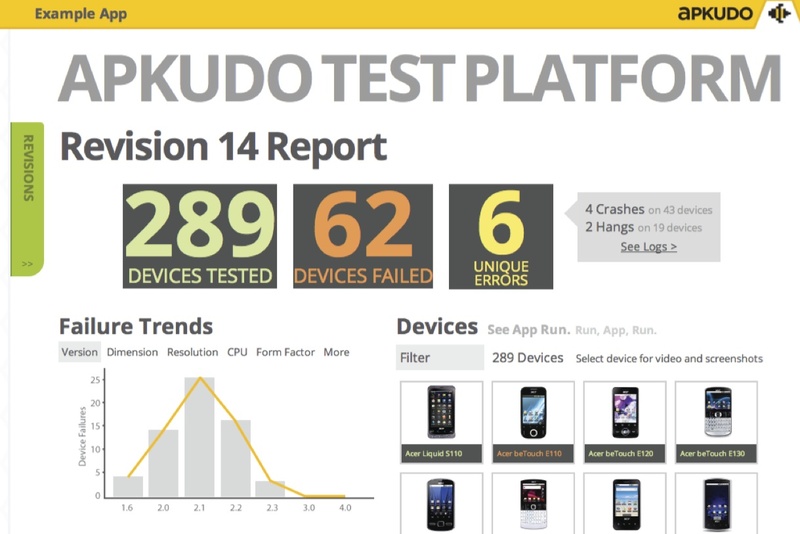 Apkudo started as an Android optimization consulting service with the revenues from that business helping launch the new Apkudo testing product. Apkudo won’t be a complete solution for developers on day one. But it should provide them with a good tool to help them see what bugs they need to address. This is no trivial task. When Rovio launched Angry Birds on Android last year, it said it took a lot of time to test for all the different devices available and the game still didn’t work initially on a couple of smartphones. “The main challenge with Android is the amount of different devices. They are all different. Takes forever to test,” the company tweeted. This won’t necessarily mean Android developers make more money right away, but it could help them make better use of their time, which can help justify more investment in Android. We’ll have to see how Apkudo actually performs but it seems like it could become a decent tool for Android developers frustrated with fragmentation. This is a neat testing advantage. With the sheer amount of Android devices out there, this goes a long way in helping to solve this unique but growing problem.